A sandbox TPP game developed by the debuting Entrada studio, created with online play and survival in mind. It is set in post-apocalyptic wasteland of a world destroyed by a nuclear war, with players taking roles of survivors who try to survive in this unfriendly environment. Miscreated for PC is an online, sandbox TPP game that puts particular emphasis on survival. The story takes place in the year 2089, some time after two nuclear wars nearly exterminated the human race. The player needs to survive in this post-apocalyptic open world inhabited by cannibalistic mutants and bandits. The gameplay in Miscreated takes place on roughly 64 km2 of wasteland that used to be Earth, but was destroyed in a nuclear war. The area is full of collapsed bunkers, caves, and other post-apocalyptic "dungeons". Access to some of them is additionally obstructed by carefully hidden entrances, e.g. located under water. In each of these places we’ll find distinctive objects and vehicles. While crossing the post-war ruins, we will experience a full day and night cycle, synchronized with the time zone of the server to which we are logged in. This is of no small importance, as sunlight and moonlight will affect the gameplay, e.g. by making sneaking easier at night. Similarly, the weather system, which can dynamically change light drizzle into dense fog, affects our actions as well. Other than the time and weather, our hunger, thirst, and radiation level are also of great importance. When at full strength, we deal with combat more effectively, while exhaustion greatly hinders our survival. While wandering through the post-nuclear ashes, we encounter organized groups of bandits and bloodthirsty zombie-mutants, whose sole purpose is to feast on our flesh. Opponents may appear in random places on the map, which means we are never safe. Since Miscreated is an MMO game, there are other living people on the wasteland, all of them trying to survive another day as hard as we are. We may treat any encountered player in a friendly manner, offering to team up against the dangers of everyday life, or we may assault and dispossess them of their inventory if we like. Open PvP lets us immerse ourselves in the atmosphere of the game and exploit other players, first cooperating with them only to betray them later on. The death and respawn system also gives us several opportunities. The player who dies in battle is unconscious; their companion can bring them around or kill them and take their entire inventory. The game implements a system that enables us to exact revenge by putting a price on the heads of those who crossed or betrayed us. The combat system in Miscreated is very realistic, including things like the influence of the force of gravity, air friction, and wind speed and direction on the trajectory of projectiles. Miscreated includes a crafting system that allows us to create useful items, such as bandages, torches, batteries, and weapons. It is also possible to use the collected resources to build our own dugout in the forest, a post on top of a mountain or a huge fortress in a flooded underground cave. Each such location can serve as storage place for acquired items. Of course, we can also carry the loot we found in our personal equipment, the capacity of which can be expanded. 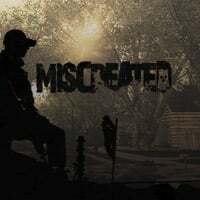 Miscreated for PC was created on CryEngine3, which was used, among others, to develop Crysis 2 and Sniper: Ghost Warrior 2. The production is currently available as an alpha release on Steam Early Access. Players can buy it in presale, become alpha-testers and support the game financially. Expectations: 7.9 / 10 calculated out of 124 players' votes.